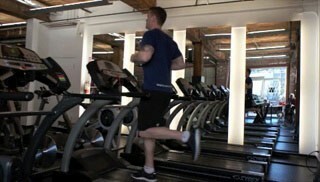 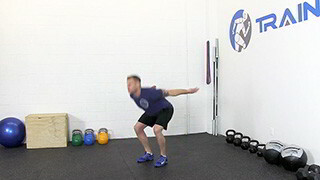 The jump over bench is an intermediate lower body exercise that targets the quads, glutes and calves. 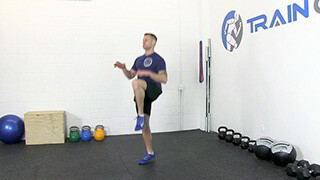 This exercise will improve explosive power, balance and agility. 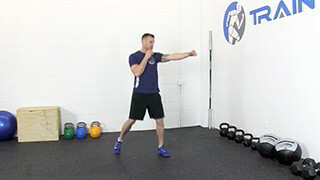 The double under is an advanced conditioning exercise that requires the athlete to perform two revolutions of the skipping rope for every single jump. 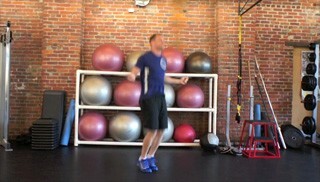 Slalom jumps are an excellent lower body conditioning exercise.